Gift includes the Gorjana Laguna adjustable bracelet with our signature Shea Butter and Almond Delicious hand creams. Brought together by a mutual appreciation for meaningful places and people that carry a story, L’Occitane and Gorjana were pleased to discover a similar aesthetic and effortless alignment. 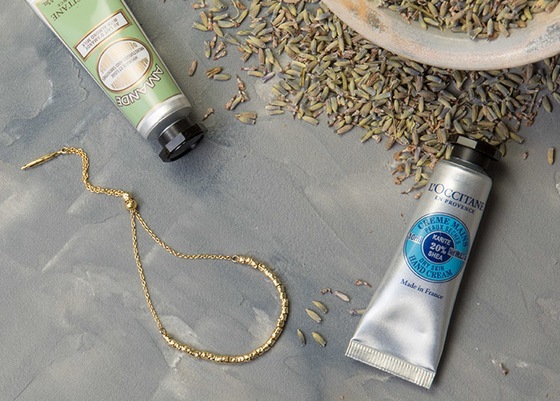 Inspired by Provence and the dramatic coastline of Laguna, this hand cream duo and bracelet make a perfect pairing. Founded over a decade ago in the thriving artist community of Laguna Beach, Gorjana's delicate, effortless jewelry reflects the renowned, timeless beauty of Southern California’s coastline. A Gorjana piece transcends seasons and generations, is designed with intention and meant to inspire. 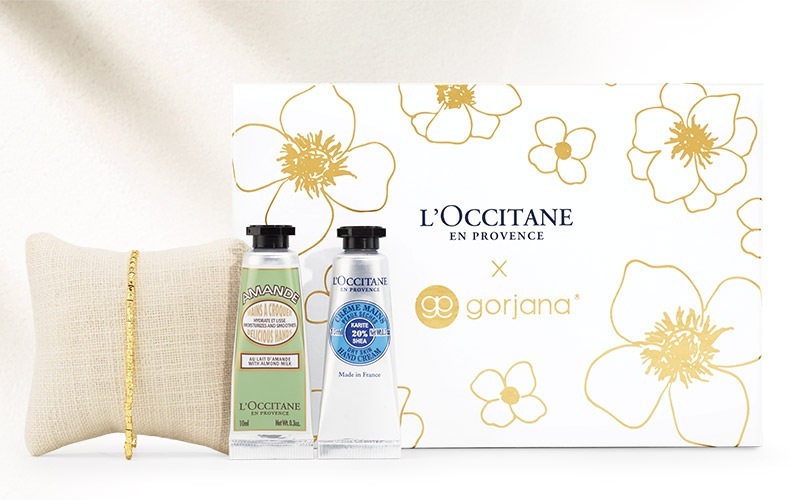 Gift includes: Shea Butter Hand Cream, Almond Delicious Hand Cream, Gorjana Laguna Adjustable Bracelet and L’Occitane x Gorjana Jewelry Pouch wrapped in a gift box. Cushion pictured not included. *DAINTY offer is valid in Canada only, October 5, 2018 – October 30, 2018 only, while supplies last. Limit one per customer with any $35 purchase excluding taxes, shipping, and sale items. Valid online and in L’OCCITANE Boutiques. 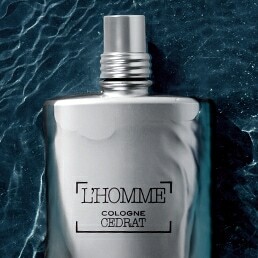 Not valid in L'OCCITANE outlets, or in Wholesale partners. Cannot be combined with any other offer, coupon or discount. No reissue or reimbursement for lost or void voucher. No cash value. No cash back. Not applicable to prior purchases, gift cards, shipping fees or taxes. 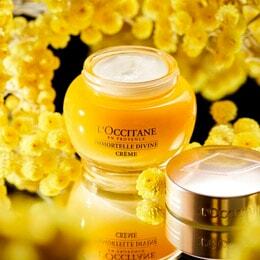 L'OCCITANE reserves the right to substitute another gift of comparable value. Use code DAINTY at checkout.